Have you wondered about a great dish, but you don’t have enough time to spend hours in the kitchen? Well, today’s recipe is ideal to accomplish this. This time I give you some delicious Crab Meat and Shrimp Stuffed Avocados. Scoop the crab & shrimp mixture onto the avocado. Squirt the sauce over the avocado and sprinkle with parsley. 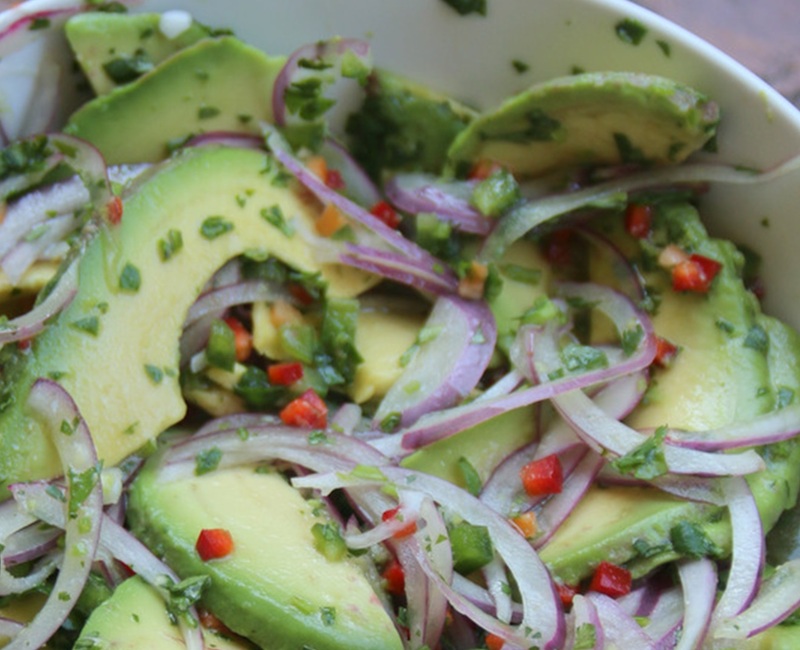 Avocado salad for fish or sea food. Spring is almost here and many of us start eating fish and sea food more often. Sometimes we are trying to look for a very fancy recipe, but most of the times the most simple is the most delightful. Today’s recipe is a side dish special for any fish or sea food dish. No matter what is the main dish, this salad goes well with almost every sea food plate. Place a layer of sliced tomatoes on a large serving platter. 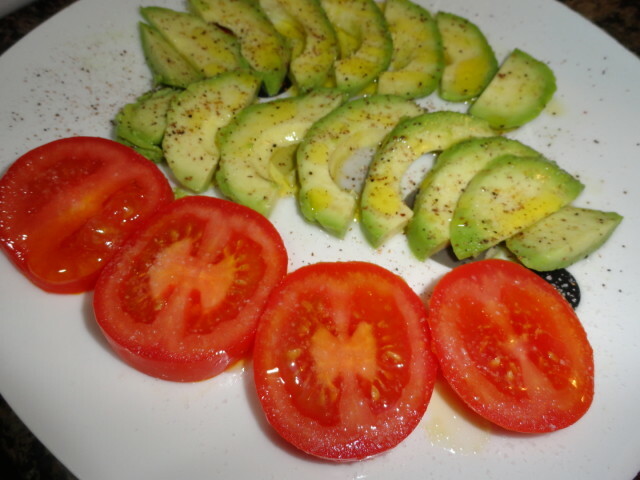 Arrange the slivers of red onions and the avocado slices over the tomatoes. Sprinkle with parsley, garlic, and oregano. Drizzle red wine vinegar and olive oil over the platter. Sprinkle with salt and freshly ground black pepper. Do not refrigerate. Serve immediately and enjoy! Share with all of us if you liked it. When we have very busy days we always want to eat healthy food, yet we don’t always have much time to spend in the kitchen; not when we want to spend it with our children or working. This recipe is both very simple to prepare but really delicious and healthy. Preheat oven to 350°F. Mash avocado with lime juice and salt. Keep it chunky. Cut tortillas in half and warm in oven to soften them. Spread an even layer of avocado across the tortilla halves. Spoon 1/4 cup salsa each piece. Scatter 1/4 cup cabbage or lettuce on each, then add some pieces of cheese on each. Carefully fold one side of the tortilla toward the center to make a triangle, then fold the other side over. Invert and place on a cookie sheet. Warm in the oven melt the cheese, 6 to 8 minutes. If you are not vegan or vegetarian, you can add some bacon pieces, it tastes great with all the ingredients.